As a powerful and dynamic speaker, Prudence will captivate participants as she delves even deeper into working with vulnerable populations. This session is being offered to promote reflection as well as a deeper understanding and awareness of the realities that families face with financial challenges and other barriers. 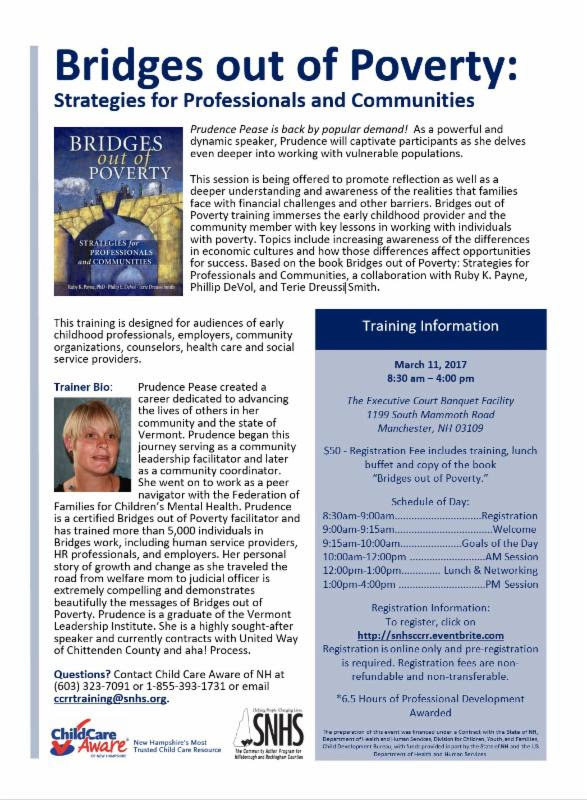 Bridges out of Poverty training immerses the early childhood provider and the community member with key lessons in working with individuals with poverty. Topics include increasing awareness of the differences in economic cultures and how those differences affect opportunities for success. 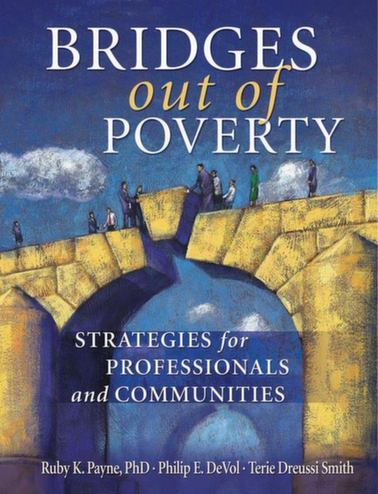 Based on the book Bridges out of Poverty: Strategies for Professionals and Communities, a collaboration with Ruby K. Payne, Phillip DeVol, and Terie Dreussi Smith.